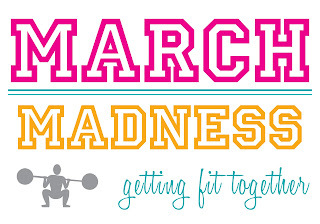 Here's what we have to do: Introduce yourself and your goals for March Madness. What do you want to see yourself accomplish in 4 weeks? 1. Work out as much as possible. Time is of the essence, so focus on INTENSITY rather than length. 2. 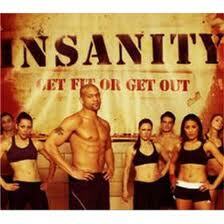 Speaking of intense, do some INSANITY! Shaun T knows how to work out!! 3. 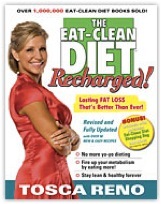 Eat CLEAN. Since I won't have as much time to devote to working out as I normally do, I gotta eat clean. (I've posted this before, but in case you're a new follower, your "physique" is 10% genetics, 10% working out, and 80% diet.) Real talk. Gotta eat clean! 4. Hit up hot yoga at LEAST twice this month. Or go on some walks with the hubby. I know that sounds minimal, but a goal is a goal. Better than nothing, right? YES! 5. Don't beat myself up if I don't make it to the gym. Get a GREAT night's sleep (starting AFTER all the upcoming overnight stuff with middle schoolers!) and enjoy the rest. Being fit is not about looking good, (okay, maybe a little!) but it's truly about keeping your body healthy. You may appear healthy, but ya gotta get your heart rate up at least 4x a week to protect that bad boy (heart disease= #1 killer of woman...do I sound like a commerical or what?!?). AND ladies, ya gotta lift weights to increase your bone density. Osteoperosis? No thanks. Not to mention, mommies/teachers, we wanna model healthy lifestyles and behaviors for our kiddos so they can grow up to be healthy adults. Monkey see, monkey do. No doubt, March is full of madness for me. I'm glad I have refocused on my fitness, though. 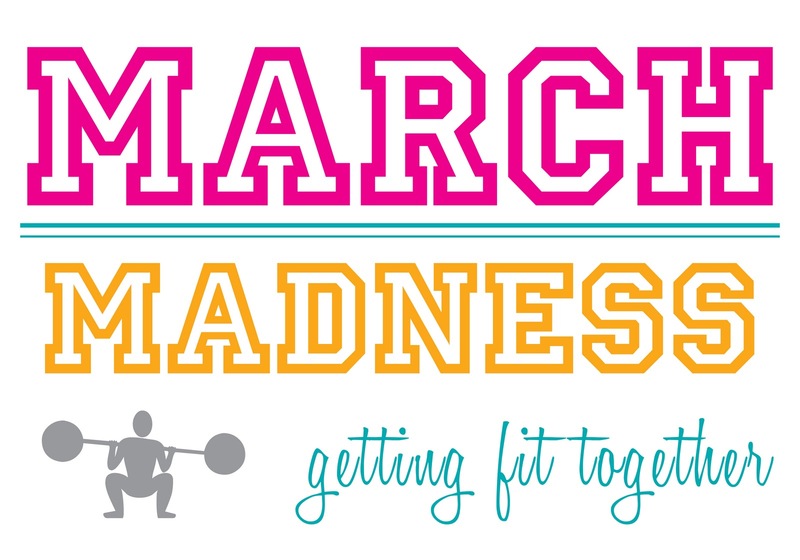 What a great reminder to me that our health should never be put on the back burner....So, what are you doing to GET FIT in MARCH??? You are such a great motivator! You make Sean T look like a punk. I did pure cardio for the first time last night and I had to go to bed at 9!!! I can barely make it up the stairs today. We should get together and do Insanity...it will give you a good laugh. I gotta get my Jamaica body on!!!!! !